Beethoven originally dedicated his revolutionary Heroic Symphony (Eroica is Italian for heroic) to Napoleon but famously erased his name from the title page when the political leader started his many invasions! 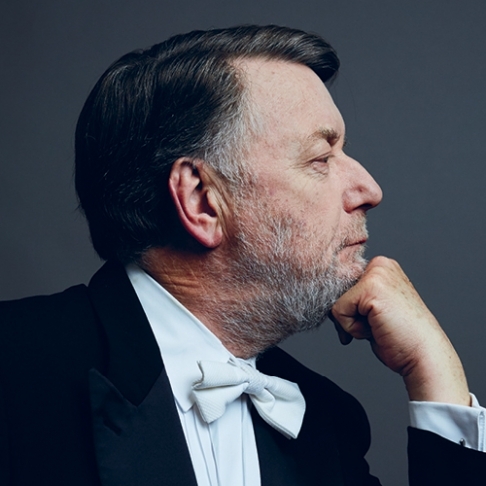 Sir Andrew Davis leads the MSO through the supremely triumphant and outgoing piece, celebrating heroism, which then moves into a slow movement, the funeral march, to remind us that we all, even heroes, have to face death. The symphony was of a scale never before attempted and remains one of the great triumphs in music. On the back of a podium finish in the 2016 Sydney International Piano Competition, Chinese virtuoso Moye Chen joins the MSO for Franz Liszt’s Piano Concerto No.1 – a now renowned piece that was over 20 years in the making! Completing the program is Composer in Residence Carl Vine’s extraordinary energetic and colourful Concerto for Orchestra. Join us for a pre-concert conversation inside the Robert Blackwood Hall foyer at 6.30pm.